First up is this Halloween bubble bar 'Sparkly Pumpkin'. I love how this smells - it's really quite fruity and unlike pumpkin haha! 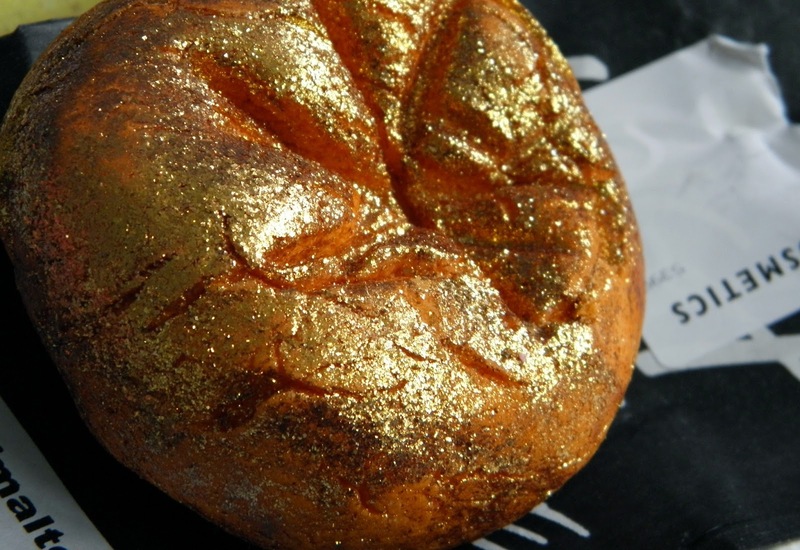 Also a sh*t tonne of gold glitter which makes this bubble bar rather appealing. Another Halloween bubble is the 'Wizard'. Every time I see this little bubble wizard I imagine the famous Harry Potter scene with Hagrid. I don't want to use this guy in my bath as it is so cute but he smells delicious! 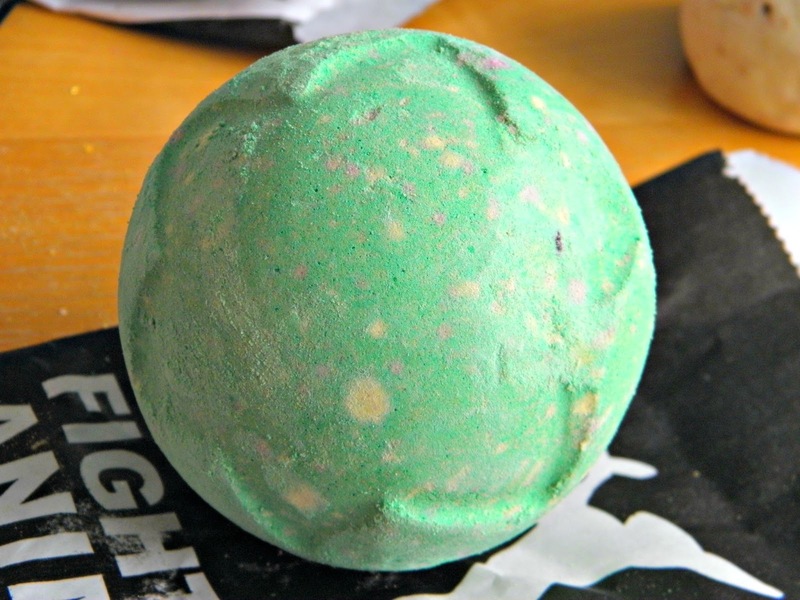 A returning product from last year is Lord of Misrule bath ballistic. It has quite an unusual fragrance that is a mix of sweet and spice which I love. 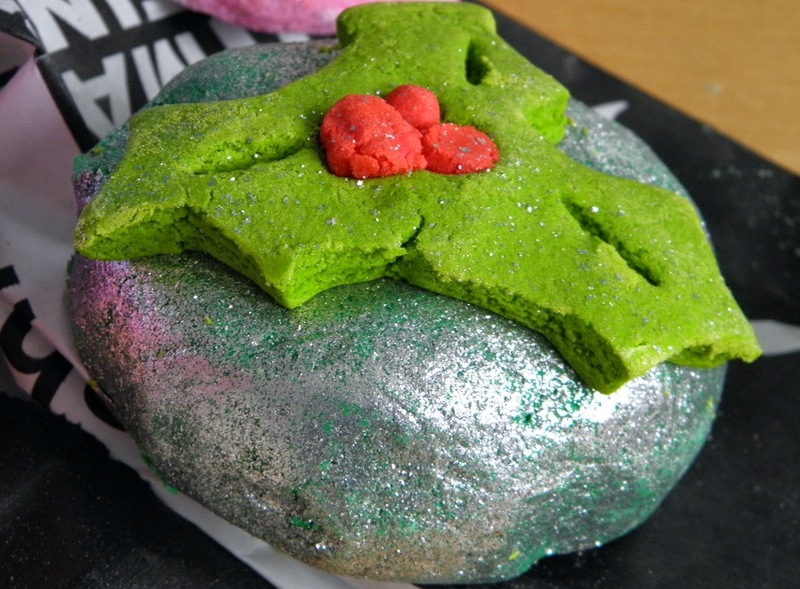 It smells like nothing else in Lush and I'm so glad they returned it to shelves this year. I knew I had to have the 'Sparkler' bath bomb when I saw it was rose jam scented. Not only does it smell of roses, it has load of glitter in the middle AND it's supposed to look like a crackling fire work in the bath tub making it a rather exiting bath time. 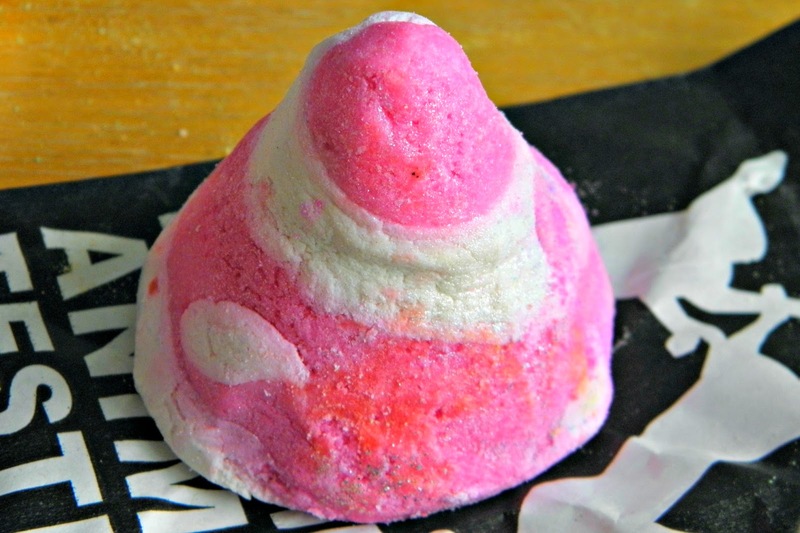 I also picked up a few Christmas bath bombs and bubbles - the first, an oldie but a goodie, is the 'Candy Mountain'. 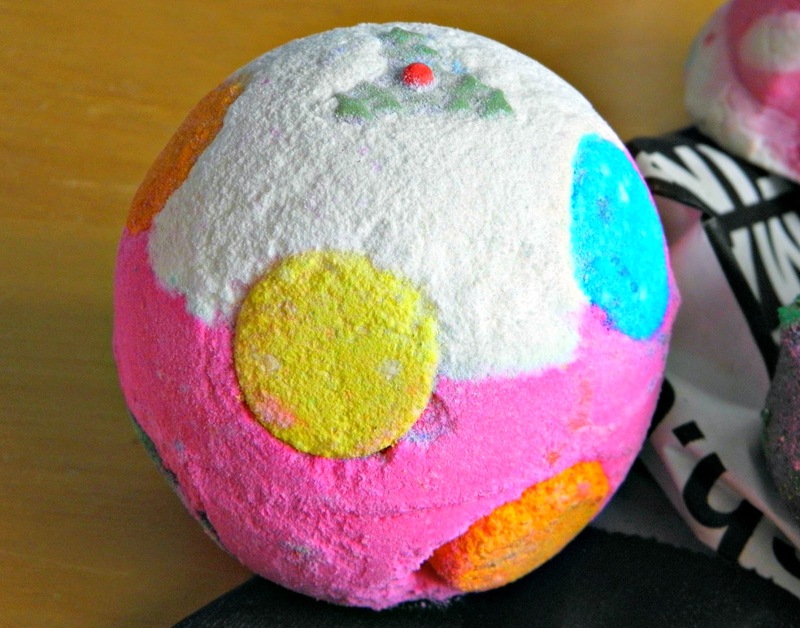 It's pink, shimmery, and makes snow fairy scented bubbles - need I say more? The 'Luxury Lush Pud' has had a bit of a psychedelic make over this year and is now fluorescent pink. It is quite trippy in the water with all of its colourful mini bath bombs inside which contrasts with it's relaxing lavender scent. I hated the colour it turned the bath last year (it was like a dull, grey-purple sludge - sorry lush!) so I'm super pleased that it is now pink. Brand new this year is 'Holly Golightly'. I'm not sure what to say about this one except that it smells DIVINE and has a matching shower gel (Hot Toddy). It is quite a warm, spicy scent and is the epitome of what Christmas should smell like (to me anyway...). And if that didn't convince you then it's covered in silver glitter-lustre stuff. Amazing. 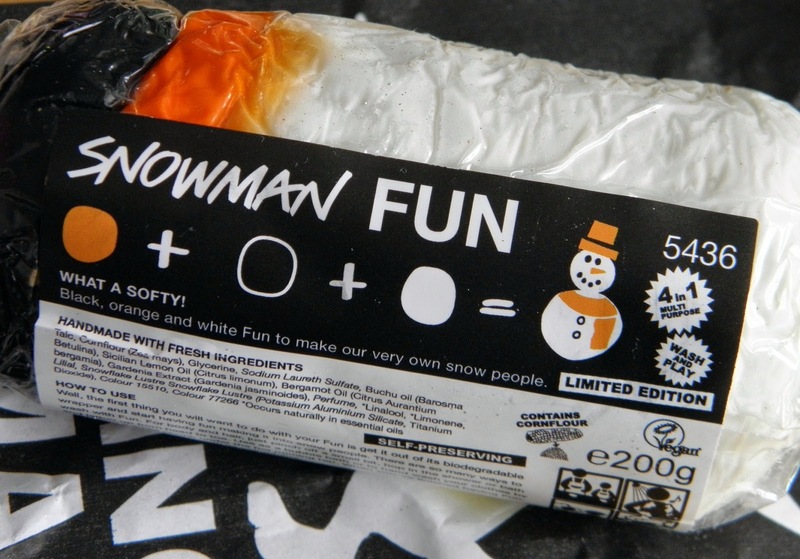 Snowman fun kit is a mini set of three coloured FUN so you can create your very own snowman! It smells amazing and is a wonderful multi-purpose product. 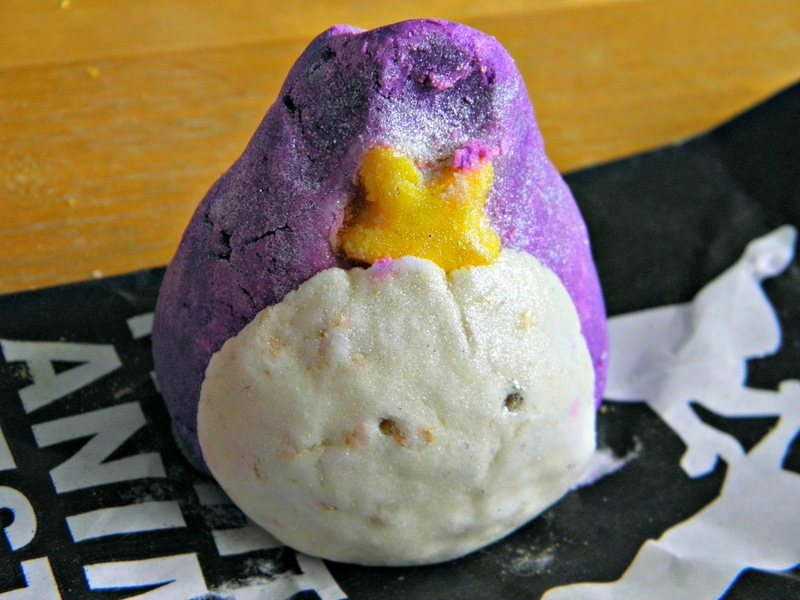 And, last but not least, is the 'Snow Angel' bath melt. Prior to this new range of bath goods, I wasn't a huge fan of the bath melts but this one has converted me. 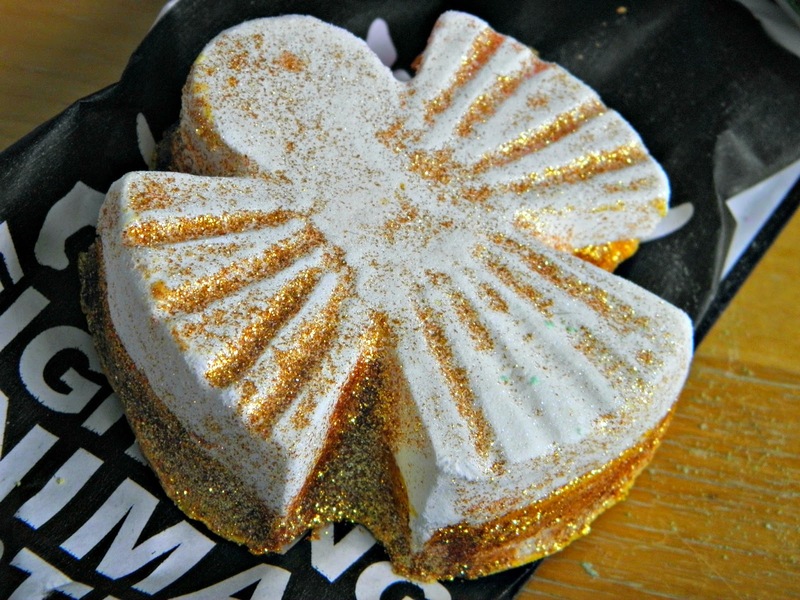 It's kind of a combination of bath bomb and bath melt as it creates a bubbly foam on the surface of the water with a shimmery gold water underneath. The water is left silky soft and it smells like marzipan. I'm in love. 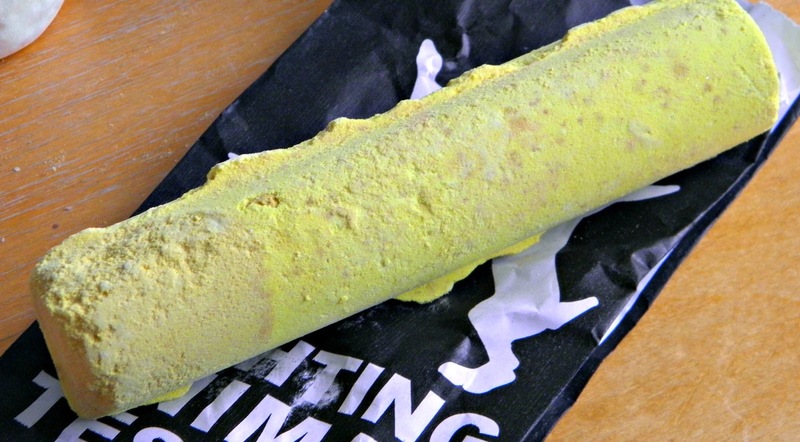 What bits have you picked up from Lush lately? I'm so jel of you working in Lush! I recently got a load of Christmas stuff and I'm waiting until I can order again! 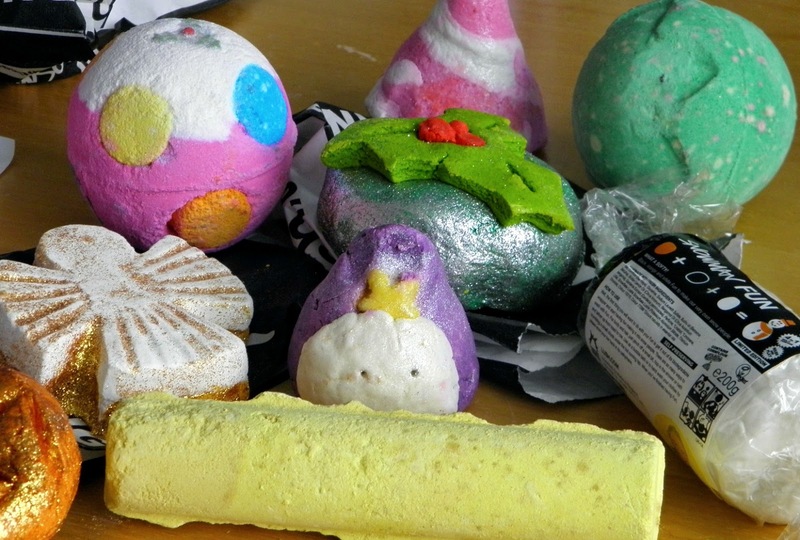 Lush have so many lovely products at the moment. I was in there getting a present for my friend and my son wanted to sniff the sparkly pumpkin, I held it up for him and he sniffed it too close and ended up with a very cute glittery nose!